Moringa and matcha are two sensational players placed front and centre on today’s superfood stage. They may even come packaged with fantastic health claims and proud history lessons, but the discerning among us aren’t so easily convinced. What exactly are these two ‘healthy’ foods, and why are they decidedly so good for us? Let’s take a look at what makes each of them so special, and which – if either – is better. Matcha is a powdered form of green tea, widely recognized as a Japanese export, though the practice of producing matcha originated centuries before in China. Like all teas, strictly speaking, it’s made from the leaves of the tea plant, Camellia sinensis. The difference lies in the special way it is grown and prepared. While growing, tea bushes designated for matcha production are completely covered for up to three weeks, stimulating the production of chlorophyll as the leaves adapt to lower levels of sunlight. This in turn results in increased production of theanine, the amino acid that gives matcha its characteristic earthy flavour. Where many teas are put through an oxidation process to develop particular flavours, matcha is steamed soon after harvest to prevent oxidation. This helps preserve the natural colours, fragrances and nutritional compounds. The leaves are then laid out to dry, de-veined, de-stemmed, and milled into the fine powder we find in stores. The benefits of consuming green tea are widely touted, citing studies that reveal boosts to brain cell production, immune function, blood sugar regulation, and cancer cell disruption. Unlike with normal green tea, where we only consume a diluted infusion, matcha is ingested whole, whether in the form of tea, food or dietary supplement capsules. 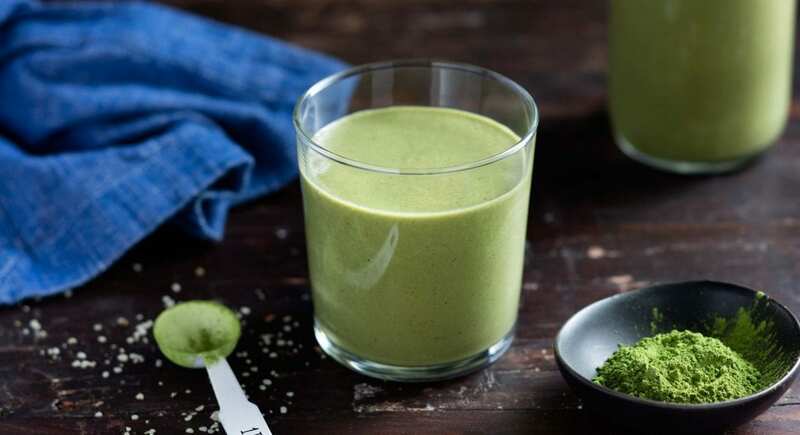 This makes matcha a far richer bomb of nutrients, containing chlorophyll, theanine, antioxidants, vitamins (A, C, E and B complex), beta carotene and other micronutrients. Studies have identified moringa’s therapeutic potential across a range of ailments, showing positive effects in the areas of lung function, digestive function, immunology, blood glucose, and lactation (milk production after pregnancy), as well as demonstrating a suppressive effect on certain cancers. Beyond food and health, moringa seeds have also been found to contain protein capable of water purification and material separation. Today, moringa leaf teas and powders are growing in popularity as a dietary addition in Western health food stores. So, Is Moringa Better Than Matcha? According to moringa advocate and supplier Kuli Kuli, moringa beats matcha in the nutritional stakes with a far bigger nutrient output of fibre, protein, calcium, iron, vitamin A, vitamin C, and vitamin E. In terms of efficiency, moringa also appears to triumph, requiring less investment to cultivate and prepare, and lending itself to a far wider range of uses than the prestigious powdered green tea. Taste may be one arena where matcha holds the advantage, with a refreshing ‘umami’ bitterness that can be enjoyed by itself or adding full-bodied flavour to a world of sweets and snacks. Next to the spinach-like qualities of moringa tea, it’s not hard to guess what your taste buds might prefer. Science is still out on the therapeutic effectiveness of either plant. Results of clinical trials do hint at interesting possibilities, but both superfoods still require further study before any health claims can be truly substantiated. With a growing availability of both foods in the health food market, there’s little need to pick one green sensation over the other. Both matcha and moringa can be enjoyed, separately or together, in a range of beverages, desserts and meals. As with anything, consume in moderation, and consult a qualified health professional before making drastic changes to your diet.